Tonight: Clear. Crisp. Lows around 30. Friday: Sunny. Pleasant. Highs in the upper 40s. Saturday: Mix sun and clouds. Mild. Highs in the mid 50s. It was a little cool on this Thanksgiving. 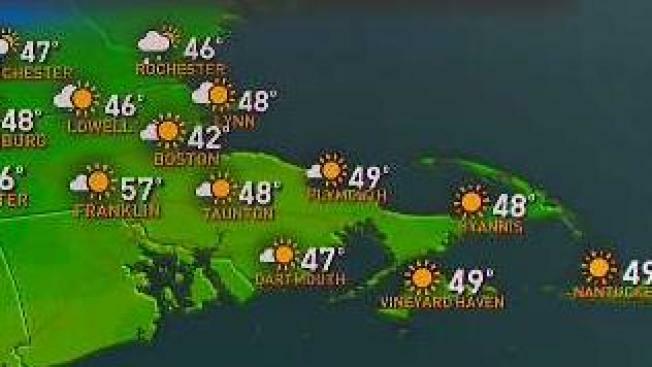 The high temperature in Boston only climbed to 43°, which is about 6° below average. However, with bright sunshine and very little wind it felt quite comfortable in the sun. It will get rather chilly overnight with low temperatures dropping into the upper 20s and low 30s. If you’re planning on getting a jump start on those Black Friday deals, dress in layers! 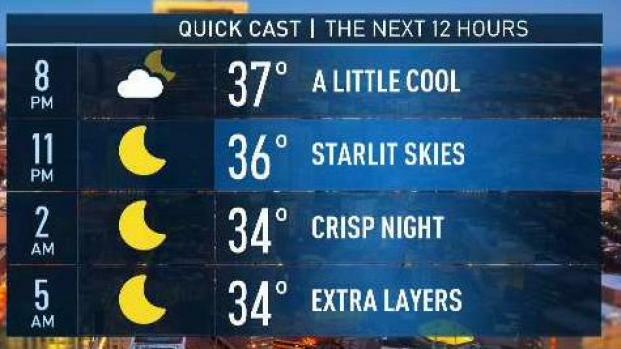 You’ll be able to shed some of those layers by late morning. Temperatures will climb into the upper 40s. The warm up continues into the day on Saturday. Clouds will likely increase during the day, but temperatures will climb into the upper 50s. Most of the area will be dry. Saturday night the cold front will move though and temperatures take a tumble. High temperatures on Sunday will stay in the 30s. If you’re planning on doing some skiing, westerly winds will promote some upslope snow in Vermont, New Hampshire and Maine. Some mountains will receive up to 4” of fresh snow. Sunday will also be great for traveling. If it’s by car, train or ferry – high pressure will keep most of the mid-Atlantic and Northeast dry. The only storm worth watching is along the west coast. If your travel plans take you to the Pacific Northwest it could be messy. Heavy rain and gusty winds are likely, especially at the coast.